I owe my love of historical and iconic attractions to my parents, in particular my dad. When I was younger we would take Route 30 up to Breezewood when we went on vacation. Whether it was attractions such as the Ship Hotel, Kings and Queens Restaurant, or Storyland, he was always receptive to my calls of “Stop! I need to take a picture!” There were even a few times that he joined me and took some pictures of attractions himself. 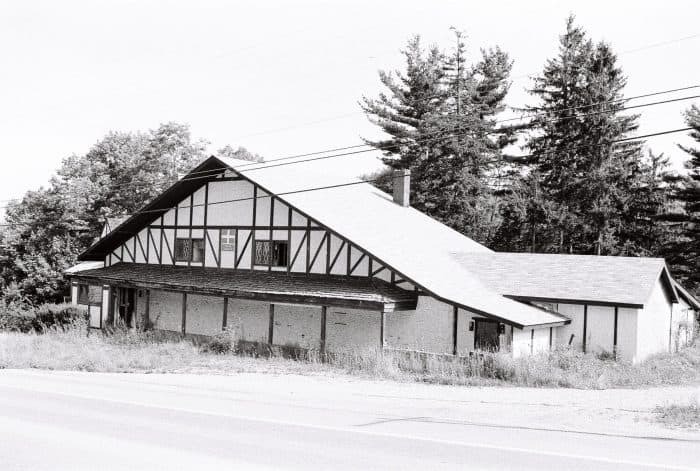 One summer I had my parents make quite a few stops to document the Lincoln Highway “landmarks.” Unfortunately, that year wasn’t a good year for some of the abandoned landmarks since that year both the Ship Hotel, Swiss Chalet, and Heritage Inn all burned to the ground. I was so glad I was able to get those pictures when I did. I was always interested in the Swiss Chalet. After climbing to the summit of Laurel Mountain from Laughlintown, there was the Swiss Chalet sitting on the left-hand size. However, it wasn’t the first structure to sit on the site. 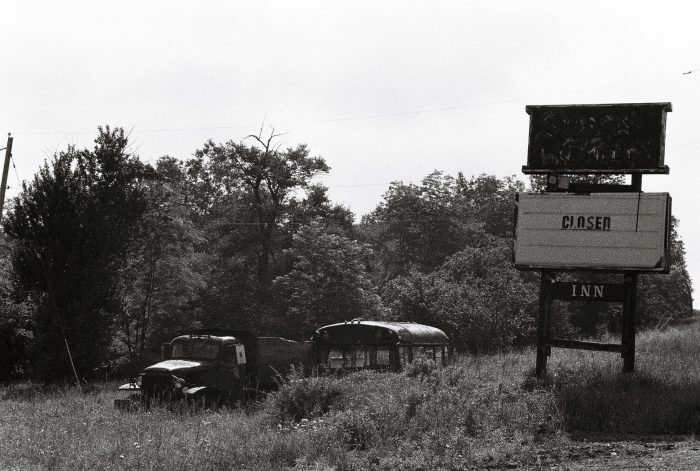 Once upon a time there were several roadhouses along the Lincoln Highway as it ascended Laurel Mountain. 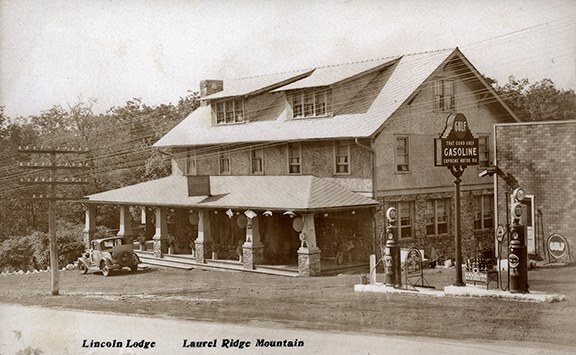 In fact, the Laurel Ridge Hotel (later Ligonier Country Inn) looked very similar to the first roadhouse that sat on the Swiss Chalet site, the Lincoln Lodge. The Lincoln Lodge was a traditional Lincoln Highway roadhouse as you can see in this old postcard. It was complete with a gas station, auto garage, and a restaurant. The upstairs offered rooms for rent. You could find everything a traveler could need there. 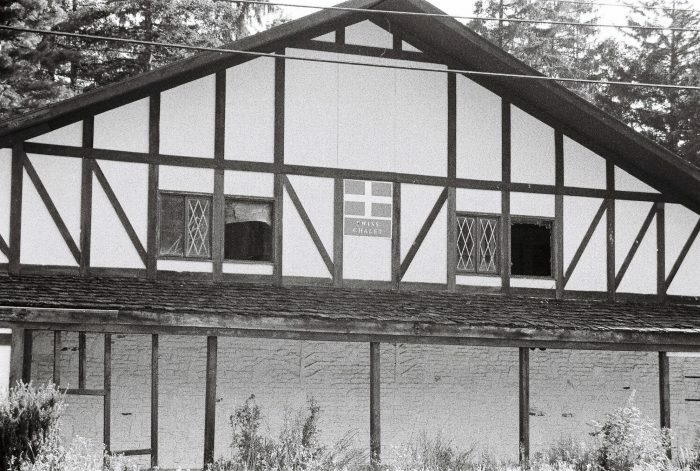 Eventually the original Lincoln Lodge was torn down and the Swiss Chalet was built. 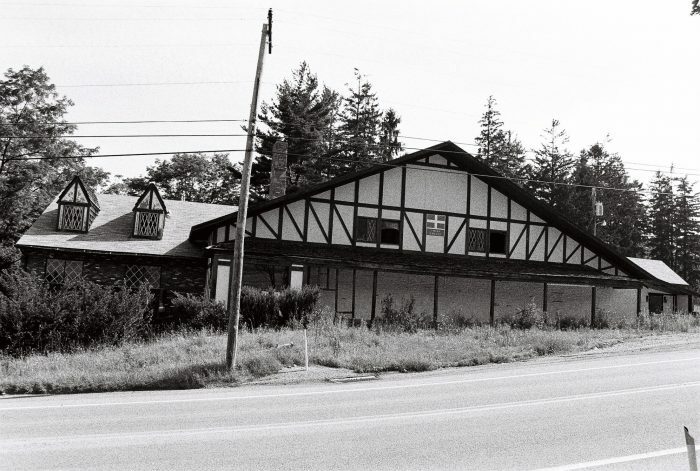 The Swiss Chalet was a well-known restaurant and bar, but it also had guest rooms. With close proximity to Laurel Mountain Ski Resort, it was ideal for those wanting a weekend ski getaway. I remember my dad telling me stories of when the Swiss Chalet was open and him recounting an interior made of wood and stone. Out back was a stable housing horses for riding trails as well as the horses used to give sleigh rides. The Swiss Chalet closed in the mid 1990s and sat vacant for several years. Plans supposedly underway to revitalize the old chalet when an arson fire broke out in 1997. While the fire did significant damage, the structure remained standing. The burned-out shell of the Swiss Chalet stood for several more years. 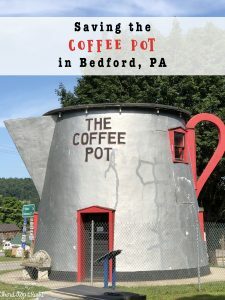 It was the summer of 2001 that I took my trusty 35mm SLR with us on vacation in hopes of documenting some of my favorite Lincoln Highway attractions. I begged my dad to stop so I could snap a few pictures of the Swiss Chalet. I am so glad I did because less than six months later another arsonist burned the structure beyond repair. It was torn down shortly thereafter. 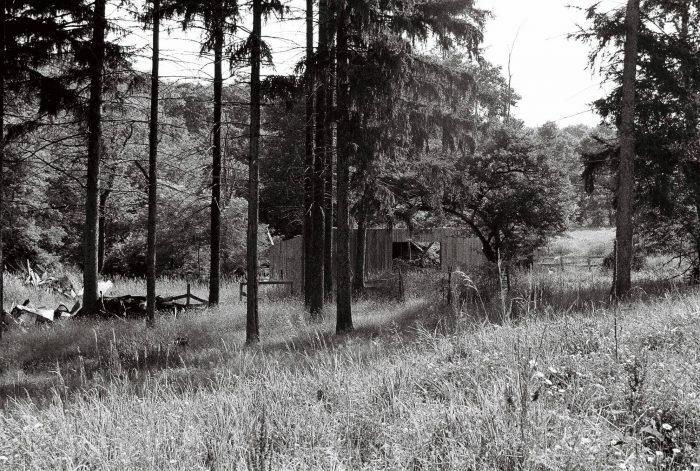 The stables, which were located behind the lodge remained for a number of years, slowly deteriorating until eventually they were gone too. The site now sits vacant. As a personal side note, as I was doing research for this post I came to realize that there is very little information and/or pictures of the Lincoln Lodge and practically nothing about the Swiss Chalet. If anyone has any additional information or pictures to share, I would love to see them! i noticed the same thing on the lack of info. 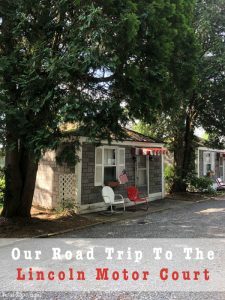 The Swiss Chalet / Lincoln Lodge was located at the top of Laurel Mountain on Route 30 before the the road got steep to Laughlintown, PA.
John C. who owned it got me hyper on Shirley Temples as a kid. I use to run around the bar. Investors were going to re open it before the arson fire in 1997 but, pulled out. they even hired the original architect / owner of the Swiss Chalet. Wish i could remember his name! Weird that i can only find a footnote about it or the fire online.